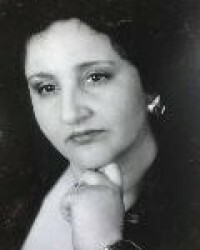 Irene is a gifted psychic, who also is very popular as a Medium. Irene is one of our top psychic readers, mainly because she can get to the heart of the matter fairly quickly. She can use Tarot if requested, but don't worry, she won't have to ask you many questions to establish what is going on around you. A psychic reading can be a very rewarding and enlightening experience, so go ahead and give Irene a try - you won't regret it. From the UK dial: 0207 111 6304 and from the USA:1877 608 3731.